If you’re already dreaming up your next vacation in your New RV, Minnesota has plenty of gorgeous RV parks to explore. This month, we’re taking a look at Stony Point Resort in Cass Lake, Minnesota, rated 5 stars by Woodall’s. Take a look at all this fantastic resort has to offer! This northern Minnesota campground is beautifully situated along Lake Cass and has welcomed outdoor enthusiasts since 1939! If you enjoy fishing, this is the prime campground to consider. The grounds also offer swimming in the lake, a playground, sports fields and a recreation room. Stony Point Resort is fishing and boating-friendly and offers a dock, boat rentals, and a boat ramp. 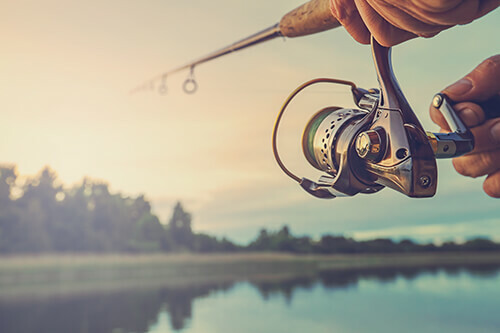 Cass Lake boasts some of the best fishing in Minnesota, and besides occuyping 15,996 acres on the Mississippi Chain, it is connected to five other lakes. There’s no end to the fishing opportunities you can explore here! You’ll find an abundance of walleye, northern pike, crappies, perch, bass, and muskie. For the little ones, the resort even offers a children’s fishing pond. 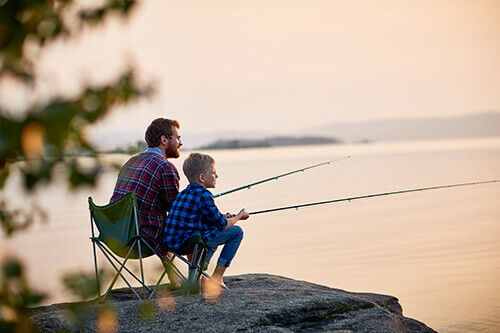 What a great way to spend time with your kids or grandkids, enjoy making memories, and cultivate an avid love of fishing! Once you’re out on the lake, consider visiting Star Island, which spans 980 miles and is unique in that it has its own lake in the middle of it! 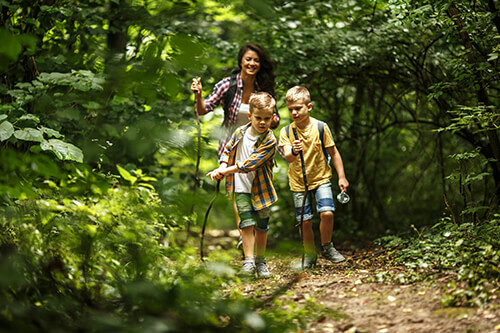 Pack a lunch and plan to enjoy the trail system on the island while making unforgettable memories with your family. Whether you want to park your New RV on the waterfront or in a lovely wooded area, Stony Point Resort offers a variety of sites that you’ll love! The RV sites are well maintained and offer full hookups for water, electricity, and sewer. If you have some furry, four-legged family members, know that Stony Point Resort welcomes pets – another reason you’ll enjoy your stay. As you plan your vacation, contact us for RV service and sales. We can’t wait to help you get on the road!